We've had a lot of questions since finding out that we are having twins... we've also been doing lots of research (surprise, surprise) on our own as well. We've also had lots of people offer support, encouragement, and advice - thank you!! I want to start capturing the twins' pregnancy similar to how I did Madi's, but with a few changes. Developmentally, twins are 3-4 weeks ahead of a singleton pregnancy. So basically the weekly updates I did with Madi aren't accurate for our new babies development. I found on Baby Center an update on development every four weeks so I'll do bump picture posts then with how they are growing. 1. Are there twins in your family? Only fraternal twins are hereditary and only on the mother's side (since the father has no bearing on how many eggs you might release in a cycle). There are no twins, fraternal or identical, at least the past four generations that we are aware of. If they are different genders, then they are obviously fraternal. If they are the same gender, then you could look at blood type to see if they are identical. Since Jason and I are both O-, both of the twins will be O- so that doesn't help. The only way we'd be able to tell if they were identical if they are the same gender is if we did a DNA test to see if their DNA was identical. 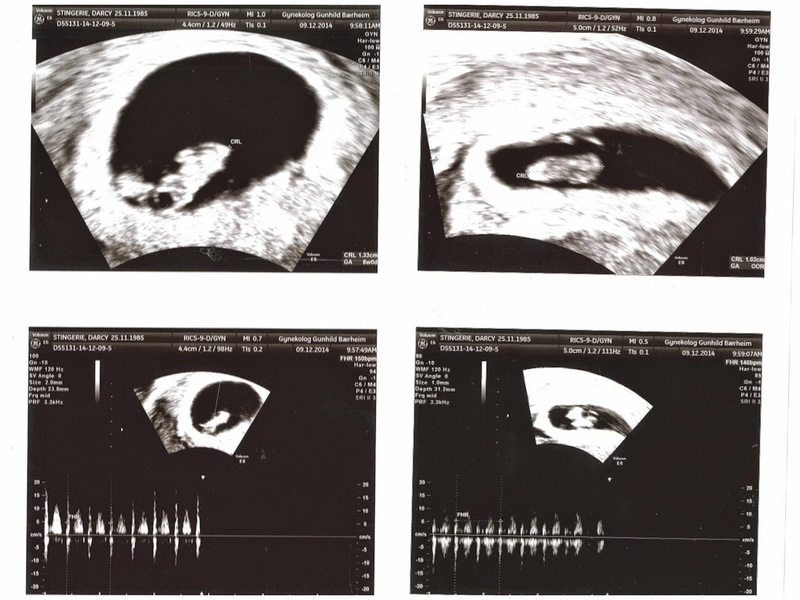 Until then, here's the ultrasound pictures we got when I went in at 8 weeks to hear the heartbeat and got quite the surprise! 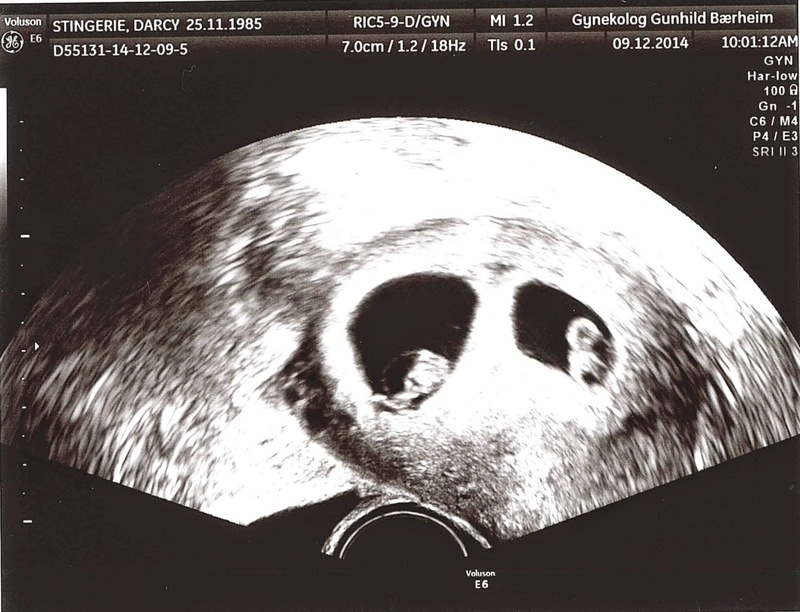 On the left is Baby A and on the right is Baby B. And here's both babies together!